GREAT NEWS!! 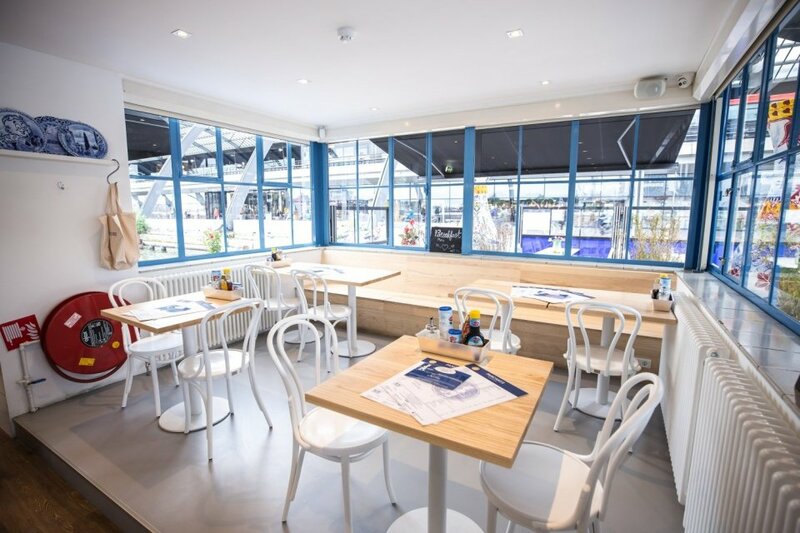 We opened another PANCAKES Amsterdam location! 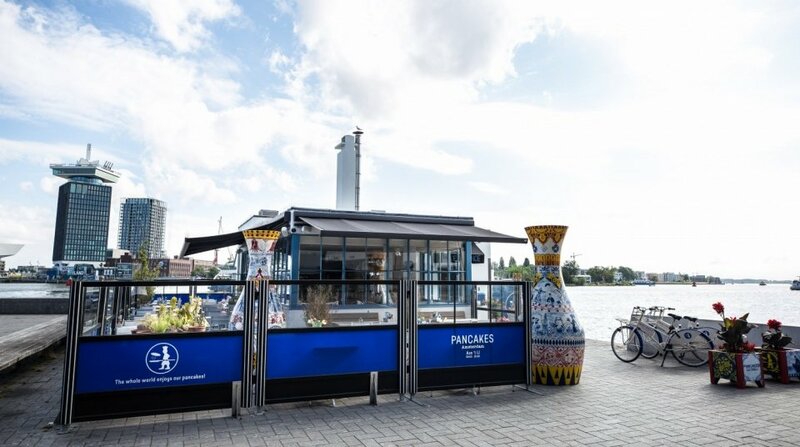 PANCAKES Amsterdam Aan ’t IJ opened May 2018! Our newest location has the most beautiful view of Amsterdam. This is the fourth PANCAKES Amsterdam location. 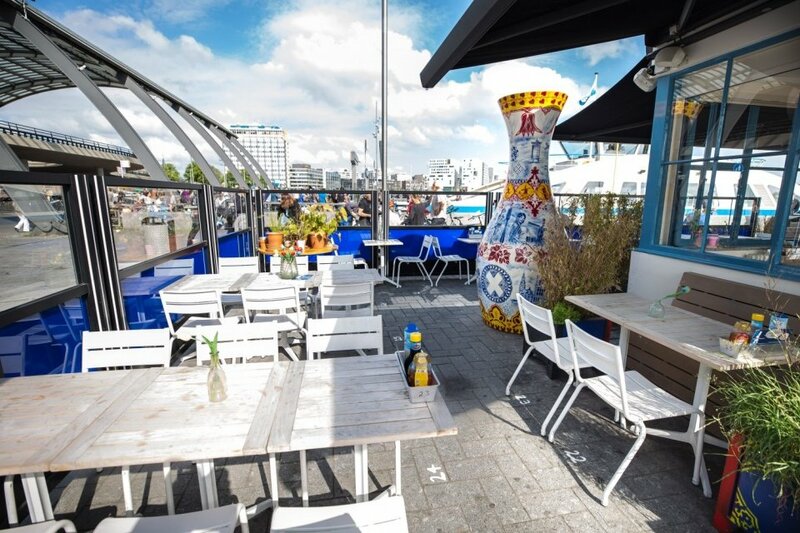 Find out all about PANCAKES Amsterdam Aan ‘t IJ here! You will find this brand new family member at the back of Central Station, next to the ferry to Amsterdam North. Amsterdam is growing in all kinds of ways, with more tourists, but also with neigbourhoods. North used to be, not that popular. But since a few years it has grown and become very popular instead. For example you will find the Adam Tower in Amsterdam North, and EYE Museum and NDSM-werf. Oh and don’t forget the famous flie market the IJ-Hallen. PANCAKES Amsterdam Aan ‘t IJ is just next to the ferry who will take you to Amsterdam North. Just at the waterfront, with a breathtaking view over ‘t IJ! The adres is Steiger 10, and not to be arrogant but we are easy to find. We are the only restaurant at the waterfront at the back of Central Station. This location is so cute, it use to be a port building. Many restaurant has been here and now it is our turn. Our designers choose to rebuild the port building and remodel the restaurant back in their roots. If you take a closer look, you will see this location looks like a boat from the inside. Our designers restored the restaurant back into a boat. PANCAKES Amsterdam Aan ‘t IJ has not that many tables inside, is looks cozy and as we Dutchies call it ‘gezellig’. It has an open kitchen and bar. With different levels of floors and table hightes is looks bigger than ever. And at the back, you will find a glass dome with a view that you can keep looking at. 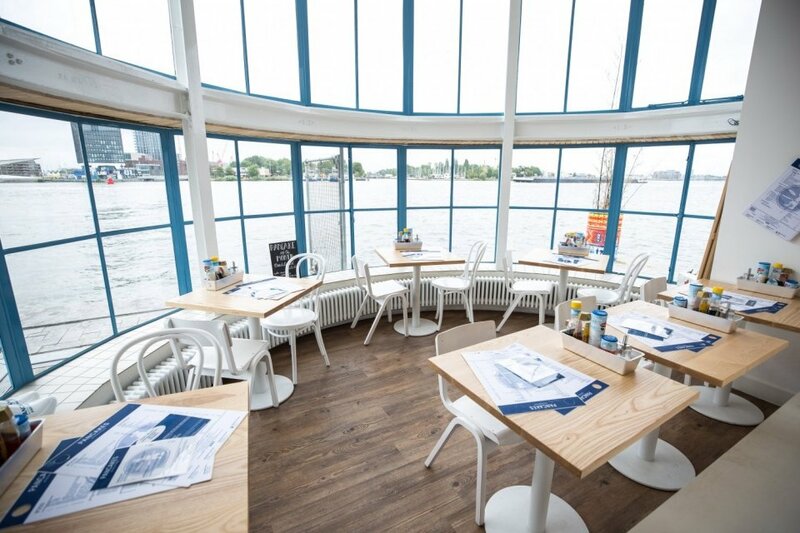 PANCAKES Amsterdam Aan ‘t IJ has around 85 seats, its small and cozy from the inside but has a big and sunny terrace with a breathtaking view over ‘t IJ and the famous Adam Tower and EYE museum. At PANCAKES Amsterdam Aan ‘t IJ you will find the same menu. A menu filled with delicious Dutch and American pancakes, so eat your heart out!! Unfortunately we also do not have poffertjes here. You definitely have to visit PANCAKES Amsterdam Westermarkt if you would like to try that Dutch delicacy. We do serve alcohol here. You will find this unique location just at the back of Central Station next to the ferry to Amsterdam North.